Harper only wanted a safe, normal life. But when her younger sister Gemma runs off with a dangerous clique of beautiful girls, Penn, Thea, and Lexi, everything changes. Vowing to get her sister back no matter what the cost, Harper must face dangers unlike any she's ever experienced. Fortunately, she has Daniel by her side, a gorgeous guy who's devoted to helping her find her sister-and who's immune to the girls' dark powers. While Harper searches for her sister, Gemma struggles to adjust to her new life. Gemma's powers are growing by the day, and the longer she lives with her new 'sisters,' the harder it is to resist entering their magical world. It's a realm both dark and beautiful, and where she's plagued by strange hungers and unspeakable needs. Just as she's drifting far away from her old life, Harper and Daniel find her...but no one can deny how much she's changed. All she wants is to return to her family and the mortal world, but how can she do that when she's become something else entirely-and will they still love her once they learn the truth? 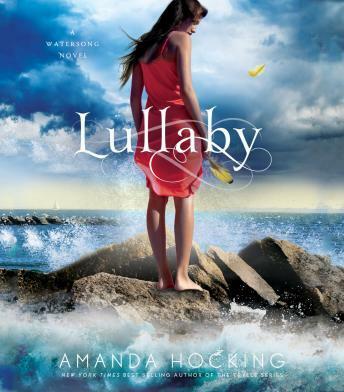 Prepare to fall under the spell of Lullaby, the second book in the Watersong series from New York Times bestselling author Amanda Hocking.